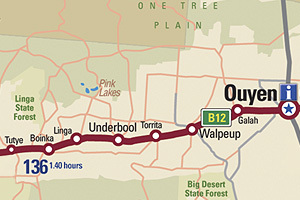 Torrita is a locality situated on the section of the Mallee Highway between Ouyen and the South Australian border in the Sunraysia region. The place by road, is situated about 13 kilometres east from Underbool and 8 kilometres west from Walpeup. 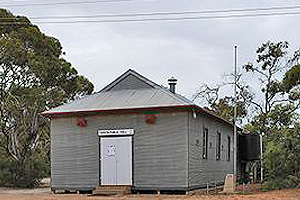 A Post Office opened on 15 July 1912 when a regular mail service was provided by the opening of the railway from Ouyen to Murrayville a month earlier, but was known as Nyang until 1921 and closed in 1984. The name Nyang is preserved in the Nyang Flora Reserve to the south of the highway. The area of the locality contains the smaller area of Kattyong, and to the south the smaller area of Gunner.